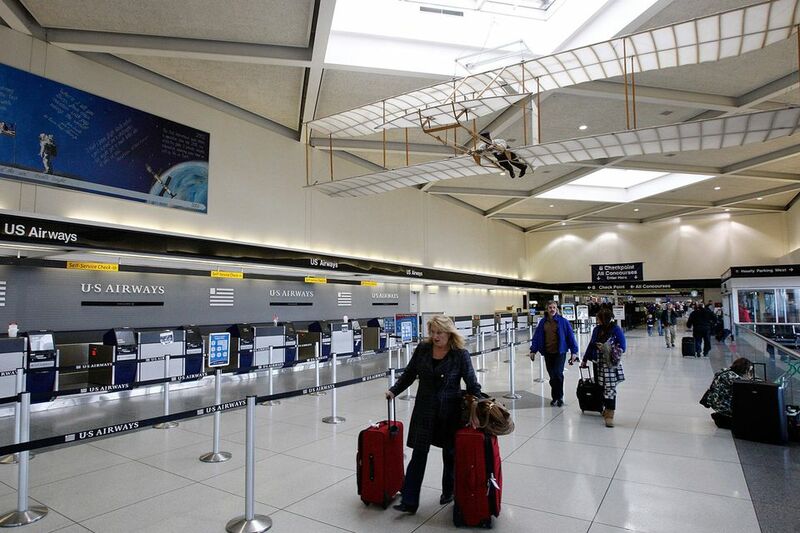 Traveling is certainly a stressful experience, and Charlotte-Douglas International Airport is one of the busiest in the nation. Let's face it—it's pretty easy to lay down your phone or laptop and then be distracted by something and leave it, or to leave your laptop, cell phone, watch, or even shoes in the TSA checkpoint. The tricky part about losing an item in an airport is that it can end up with one of several agencies, depending on where you actually lost it, and who found it. There's usually a general airport lost and found for items in the airport common area, plus a lost and found specifically for TSA if you left something at a checkpoint. If you lost something in a Charlotte airport restaurant or bar, it's likely with HMS Host, the company that runs those. And if you left something on a plane, at a ticket counter, or at a gate, it may be at the specific airline's lost and found. Here's the rundown though, of who you'll want to call for finding a lost item from Charlotte Douglas International Airport. This is the best place to start. If your item was lost in a "common" area like a restroom, gate area or baggage claim, it's probably with the airport's lost and found. It may also be here if whoever found it turned it into an airport employee. After 90 days, any item left unclaimed will become the property of the city. If you call this number after hours, you can leave a message. Have this information ready, though: your name, phone number and address or e-mail address; the time, date, and place your item was last seen and a brief description of the item. If it's a cell phone, be sure to leave the cell phone number, your carrier, and the brand of the phone. HMS Host handles the stores and restaurants in the Charlotte airport. So, if you left your item there, call 704-359-4316. If you left your item on a plane, at the ticket counter, or in the gate area of your flight, it may be with that specific airline. For some of these, the contact number is just the main airport number.